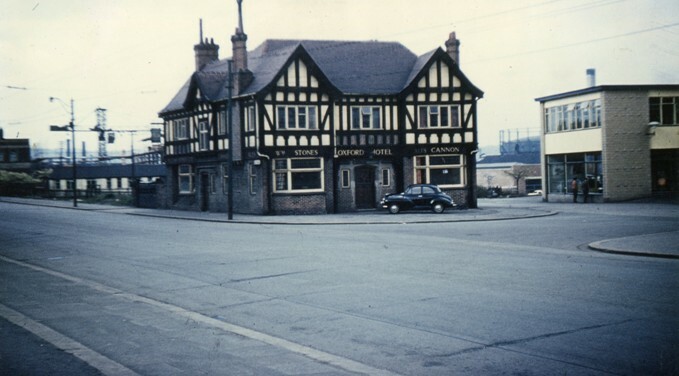 In the early 1950’s parts of Southgate we know today was in fact Northgate and where the Sports Centre now stands along with the Crown House and all the Buildings behind were open ground. 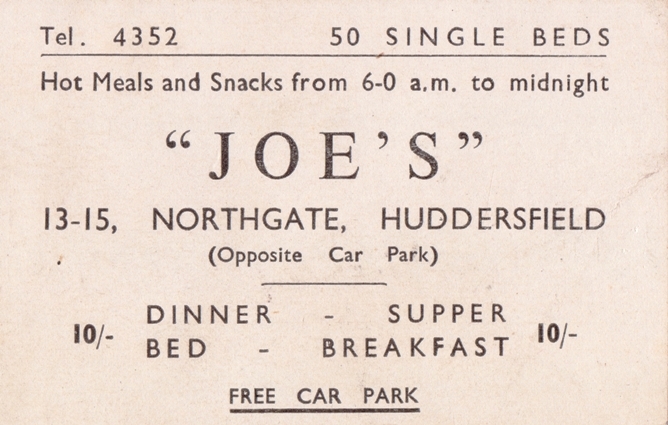 Joe Senior opened Joe's Transport Cafe with Bed and Breakfast for transport drivers. He would tell them that across the road was the biggest lorry park in England. 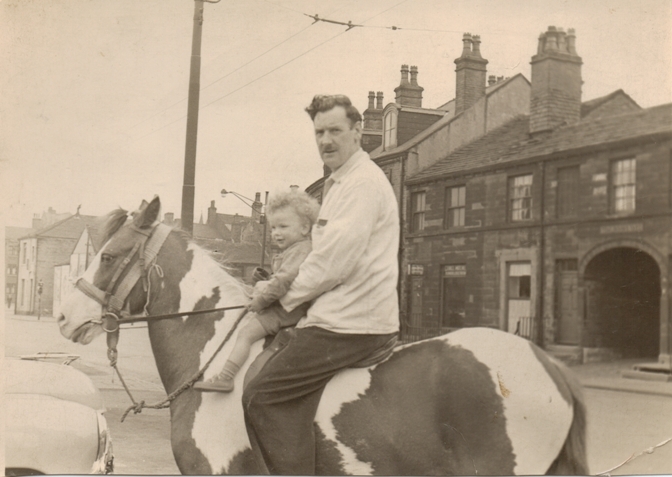 “I was brought up in number 13, Northgate which was then the Ring o’Bells pub”. 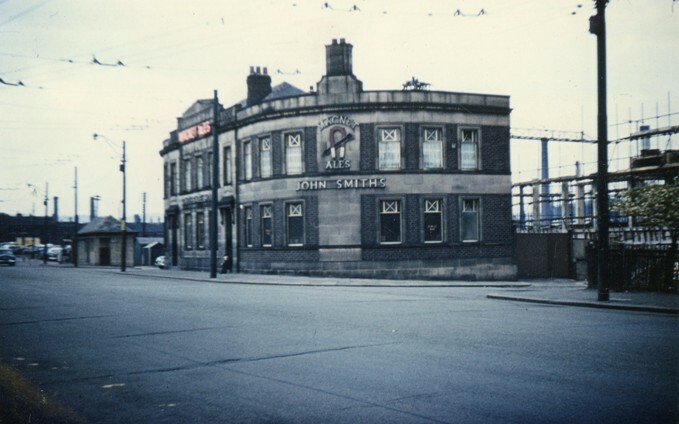 “It was opposite what they used to call The Lump – a big car park which stretched from Northgate to the Lord Nelson, which was the last pub to be pulled down on that stretch”. The Ring o’Bells closed as a pub in 1937 when my uncle Joe Marsden, Johnny’s father, turned it into his first eating house”. 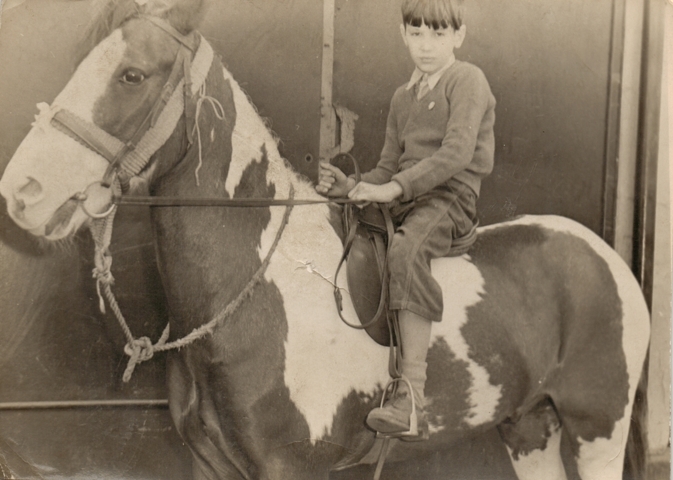 “Mind you, in those days I can remember the ice being three inches thick in the roads”. 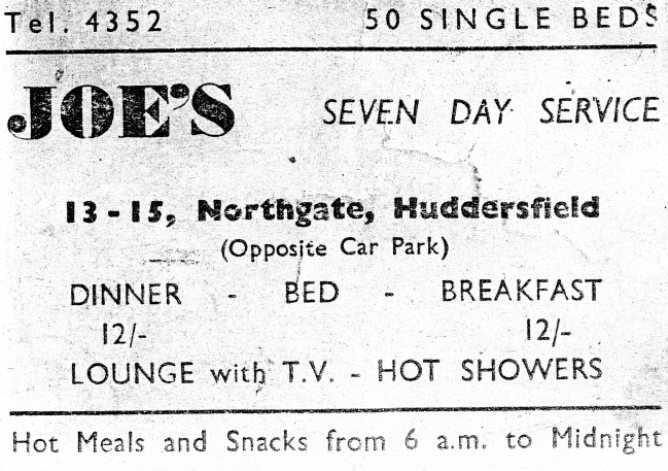 Above: 1953, 50 bedrooms, 10 shillings in todays money 50p included dinner, supper and bed and breakfast. 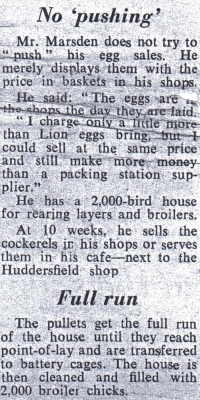 Below: 1965, 50 bedrooms including hot showers, price increase to 12 shillings which is 60p in todays money. 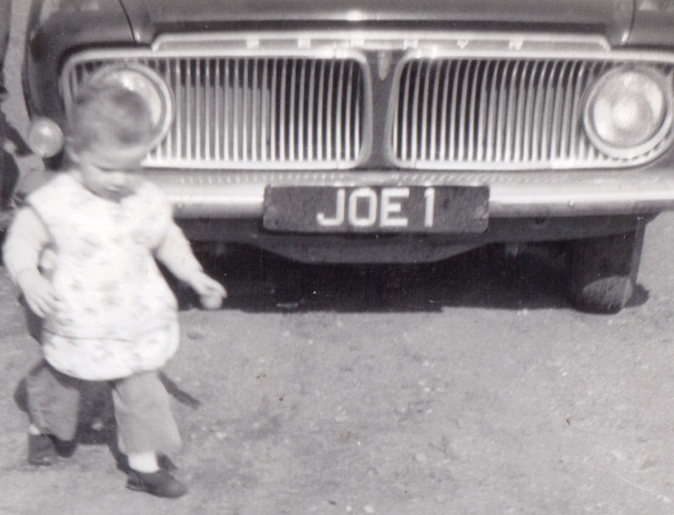 Above is Joe Marsden the younger in front of his father's car. 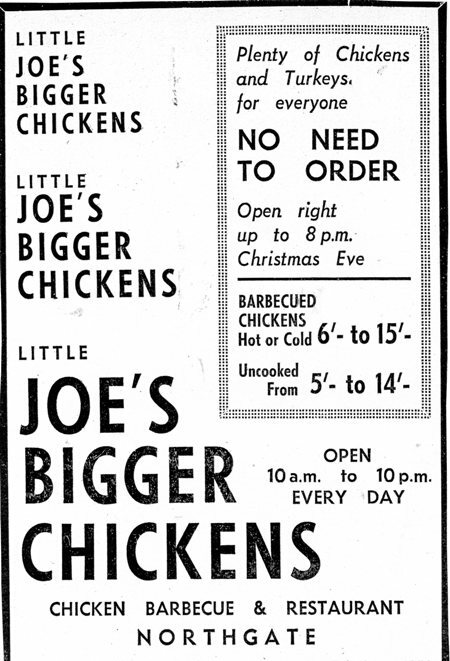 And below Joe aged 7 years serving cooked chickens at Joe's Cafe. 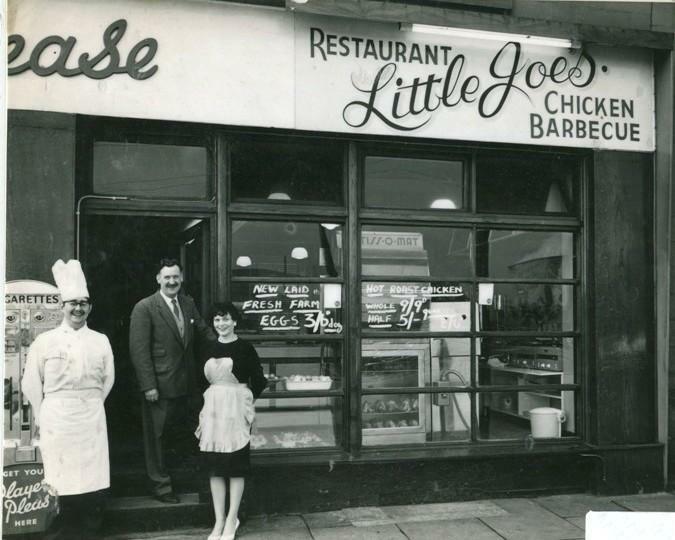 Little Joe’s, a restaurant and chicken barbeque in Northgate Huddersfield was opened today, and the first meals were served to guests invited by Mr. and Mrs. J. Marsden. 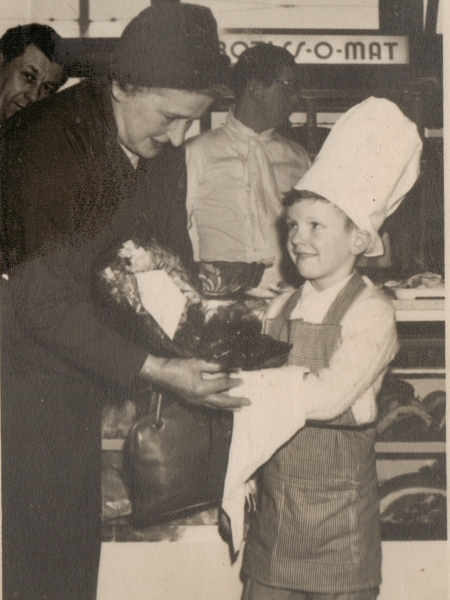 Their six-year-old son, after whom the restaurant is named was dressed as a chef and handed a bouquet to Cllr. Mrs. M. C. Gee, Ald. 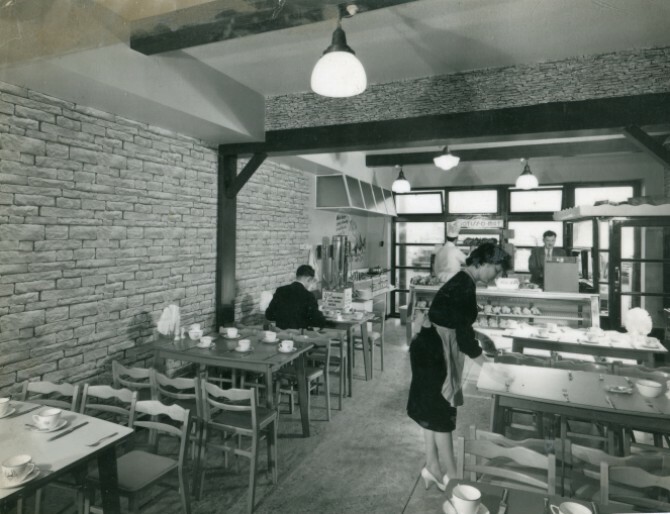 J. T Gee, introduced by Ald J. Sykes formally opened the café. 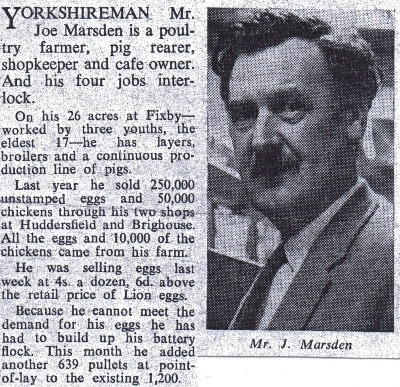 Referring to his forty years’ association with road transport, Ald. 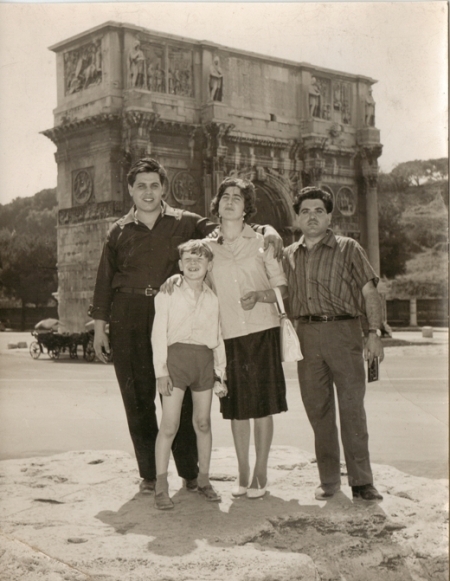 Gee said that he appreciated the work being done for transport men by people like Mr and Mrs. Marsden, who had every reason to be proud of their achievements. Among several other civic guests were the Mayor and Mayoress of Spenborough (cir) later they were to be entertained at the Palace Continental Theatre. 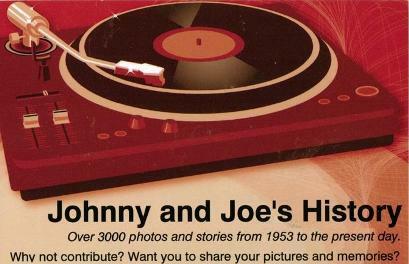 1702121623 - Joe Senior, on Peter: Johnny's pony, with little Joe in front on Northgate 1954. Approximately where the Sports Centre entrance is now. 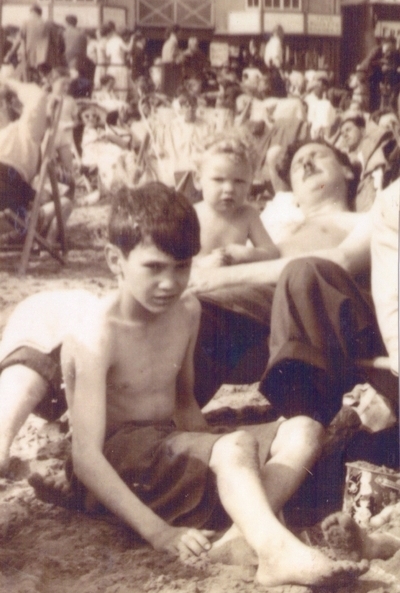 0707121726 - Johnny, Little Joe, and Joe (Senior) on Blackpool Sands. 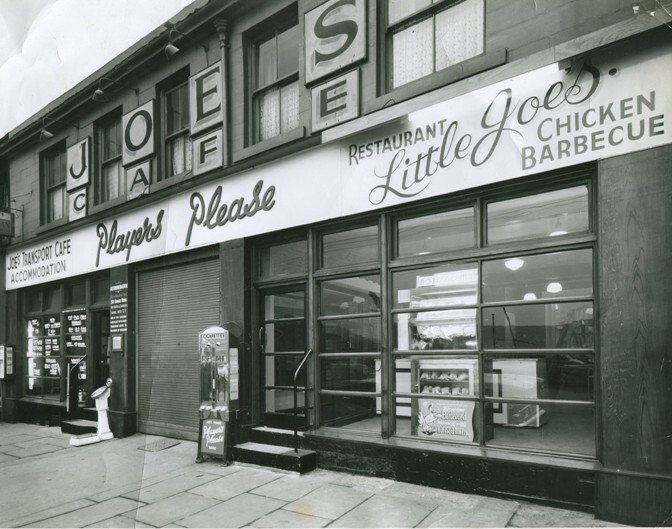 Before the M62 was built, the main route from Hull to Liverpool ran along the A62 and Joe's Transport Cafe was a half way stopping point for drivers to have an overnight break. 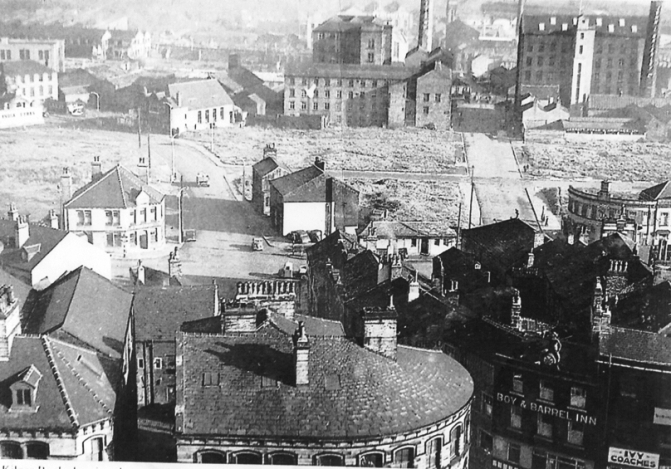 Above centre, the Old Bulls Pub Beast Market (later to become Johnny's club). 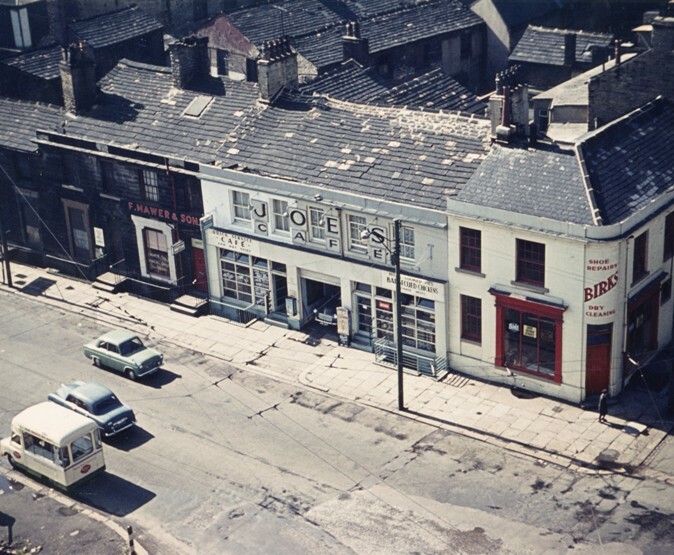 The cross road leading left to right was the A62 which ran along Leeds Road into what is now Old Leeds Road, then through the Beast Market up Kirkgate through town and on to Manchester Road. This was all the A62 and the most direct route from East to West before the M62 motorway. 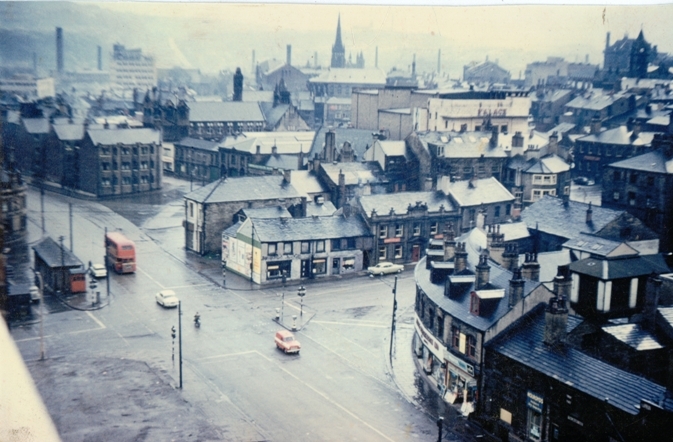 The photo below is the view looking down Old Leeds Road from the Beast Market. 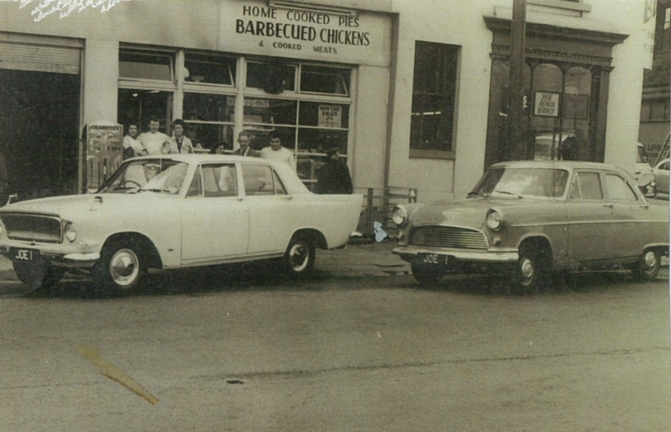 Middle left is the Spotted Cow pub.